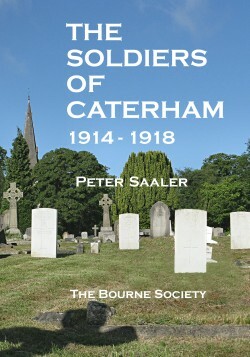 In June 1984 Peter Saaler published the first edition of The Soldiers of Caterham 1914-1918. This new edition of 119 pages contains much new and revised information gathered by Peter Saaler and Gwyneth Fookes, together with new illustrations. A directory of, and a tribute to, those of the armed services from Caterham who gave their lives in the Great War. 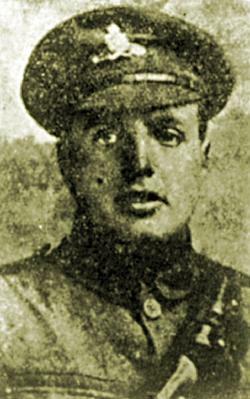 Harry Jones was born in Caterham, the younger son of George Henry Jones, the fishmonger of 12 Croydon Road, and brother of CSM Charles Jones. He was baptized on 5th February 1893. His mother was Eliza Jones. Before the war he assisted his father in the fish and poultry business. He was a prominent member and champion of the Caterham Cycling Club and won many prizes at their meetings. He was severely wounded in the fighting at Strazeele, four miles east of Hazebrouck, about 17th April 1918 and died at a Casualty Clearing Station on 28th April. Before he died he was able to write a short letter to his mother in which he explained that he did not know exactly what happened, except that he was with his battery and the next thing he remembered was being in bed in the casualty station.